Win Tickets to Bunbury Late Night featuring lovelytheband! Win tickets to see lovelytheband at our Official Bunbury Wrap Party! 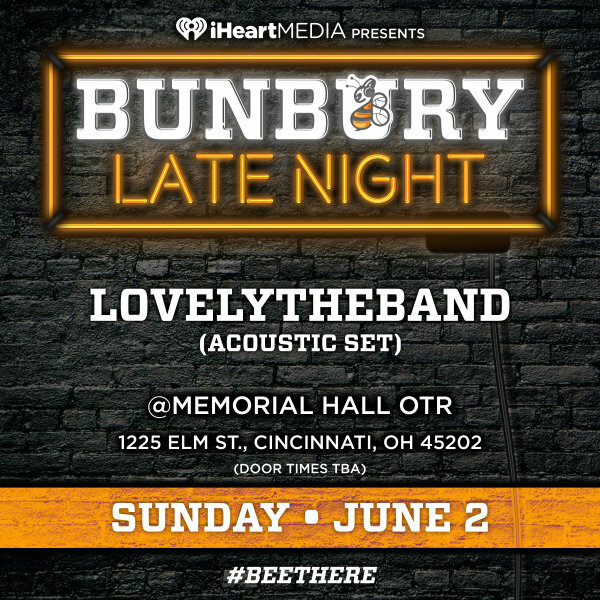 Enter to win tickets to Bunbury Late Night featuring lovelytheband on Sunday, June 2nd!